There was a time, just a few weeks ago, that the Pistons looked like the type of big, scrappy, peaking team that could give one of the East’s top dogs some first-round trouble. That seems like ages ago. In the end, Detroit needed a comeback over the Grizzlies at home and then a road win over the hapless Knicks just to squeak into the playoffs as a .500 team. Blake Griffin’s sore left knee is troublesome enough that it kept him out of the do-or-die finale in New York, and with all due respect to Andre Drummond’s second half of the season, a team led by Drummond and Reggie Jackson isn’t stealing a game from the 60-win Bucks. You already mentioned it. A healthy Griffin, playing at the level he was this season, is good enough to steal a playoff game. But there’s just no reason to believe in that health. Griffin looked like he was practically fighting back tears after hobbling off the court in Detroit’s penultimate game of the regular season. At the end of the day, we’re talking about the difference between a sweep and a five-gamer, but it’s a shame for Griffin, who’s embraced Detroit and his role as the face of this downtrodden franchise. If Victor Oladipo was healthy, I’d pick the Pacers in this series without a second thought. Even still, I fully expect them to be a massive thorn in Boston’s side. That’s because the Pacers have been everything the Celtics have not been this season: resilient, cohesive, and consistent in their effort and execution. Unfortunately, they just don’t have the horses to swing this upset, even if Boston’s true talent level is lower than we thought. Without Oladipo, Indiana simply has an untenable lack of shot creation and one-on-one weapons (Darren Collison is the team’s only above-average iso scorer). 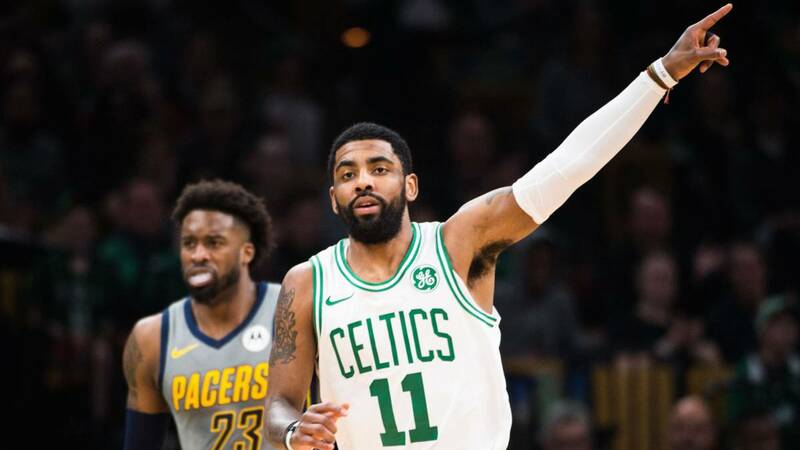 All the effort in the world won’t be enough to overcome that deficiency against a Celtics defense built to vaporize screening actions by switching effectively across every position. First of all, kudos to Bogdanovic. The guy averaged better than 21 points on 51-42-78 shooting over his last 30 games. Trust that I’m not making this pick out of some misguided sense of jadedness stemming from the Raptors’ past playoff performances, which really have no bearing on the current iteration of the team. I just think the Magic are pretty good (they finished the season on a 22-9 kick, during which they posted the league’s best defense, eighth-best offense, and third-best net rating), and pose some real challenges for the Raptors. The season series was split 2-2, but Orlando outscored Toronto by 7.1 points per 100 possessions, the second-best head-to-head margin for any Raptors opponent this year. The challenges obviously start with Nikola Vucevic, who’s been a handful for most of the NBA this season and has really given the Raptors the business on a couple of occasions. (It’s worth noting that the biggest beatdown he doled out came with Serge Ibaka as Toronto’s primary center, so the sample isn’t entirely representative. Marc Gasol’s presence made a huge difference in the last meeting.) Meanwhile, Aaron Gordon has done a bang-up job defending Kawhi Leonard, Jonathan Isaac has held Pascal Siakam in check, and D.J. Augustin has inflicted some damage in the pick-and-roll. Ultimately, the Raptors have too great a talent edge to lose this series, and I think the Magic are going to have a really difficult time scoring. But I don’t expect this to be a picnic. My gut says the Raptors fail to close out an opponent in five games or less for what seems like the 183,855th consecutive series. Ross was never much of a playoff performer as a Raptor, but it’s time for him to turn over a new leaf. And what better way to cap off a career year than by showing off against his former team? Ross has already hit Toronto up for 28 points once this season, and Orlando will need to get that version of Ross at least a couple times in this series because the offense is dangerously reliant on his shooting. It could really go either way. 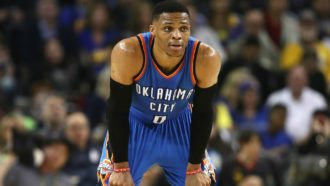 Ross has sneakily been one of the most efficient pick-and-roll ball-handlers in the league this season, scoring 1.03 points per possession, which puts him in the 93rd percentile. But facing starter-heavy transitional lineups rather than full-on bench units will probably hurt that efficiency, and it must be at least a bit worrisome for Orlando that he has a 45.9 percent true shooting mark in 31 career playoff games. Maybe he’s due? If the new-look Raptors continue to shoot the lights out, it’s tough to see a Magic team at such a talent disadvantage keeping up. The Sixers are entering the playoffs with the most top-end talent – and probably the best starting lineup – in the East, which you’d imagine should matter at the time of year when rotations are shortened and your stars carry you. Still, something just doesn’t feel right. The Sixers managed a solid but unspectacular 17-11 record after acquiring Tobias Harris at the trade deadline, and though they went 10-4 with Joel Embiid in the lineup during that time, news regarding the big man’s health doesn’t exactly sound promising right now. On the other hand, the pesky, young Nets seem to possess the kind of fast-paced spirit and heat-check shooting required to frustrate contenders in April. They won’t beat the Sixers, but they’ll keep them in the first round longer than Philly wants to be there. For the third time in four series previews, I’m rolling with health as an X-factor, and I don’t feel bad about it. This one’s just too obvious. You mentioned the Sixers being outscored by 3.3 points per 100 possessions without Embiid on the floor this season. Do you know what that figure ballooned to in Philly’s four-game season series against Brooklyn? 28.1. That’s not a misprint. In 134 minutes with Embiid on the court against the Nets this season, the Sixers outscored Brooklyn by 9.5 points per 100. In 58 minutes with him on the bench, the Nets outscored Philly by 28.1 points per 100, giving Embiid a ridiculous on/off net-rating differential of plus-37.6 against his team’s first-round foe. Get Daily NBA PLAYOFF PICKS HERE!